Who: Bank, non-profit and other staff engaged in providing training and services to entrepreneurs. What: 4th Quarter 2018 Money Smart for Small Business (MSSB) Town Hall. MSSB provides a practical introduction to topics related to starting and managing a small business. Developed jointly by the Federal Deposit Insurance Corporation (FDIC) and the U.S. Small Business Administration (SBA) this instructor-led curriculum consists of 13 modules available in English and Spanish that can be downloaded by anyone. 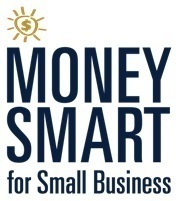 There are no requirements to use MSSB, however organizations are encouraged to join the Money Smart Alliance. Time will be reserved at the conclusion of the webinar for a brief question and answer session.